Conveniently pair this 50 gram double threaded stackable jar (Part # 29534) with our clear 50 gram single threaded base jar (Part # 29535). Also fits corresponding Sifter (Part # 29536) and Cap (Part # 29533). 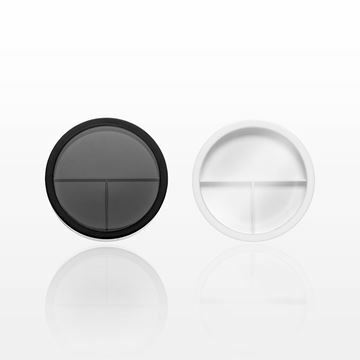 Perfect for sampling or packaging your product. 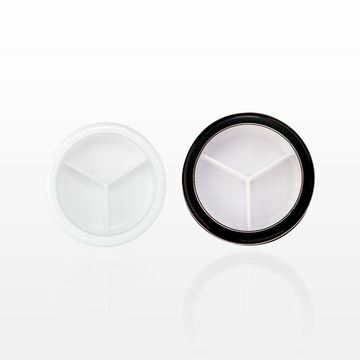 This jar with 3-way divider allows you to conveniently present multiple products or shades in one package. 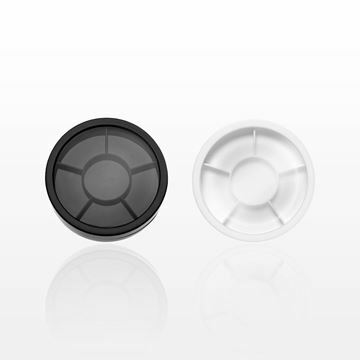 An excellent choice for cream and solid formulations such as concealer, corrector or solid lip gloss and lipstick. 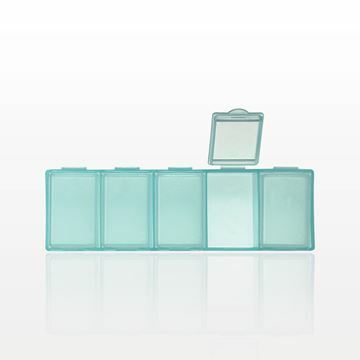 This jar with 6-way divider allows you to conveniently present a variety of products or shades in one package. 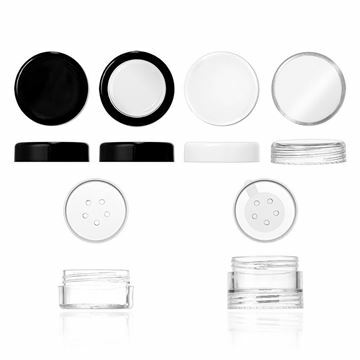 An excellent choice for cream and solid formulations such as concealer, corrector or solid lip gloss and lipstick.